On average we spend most of our time at our place of work, we also spend a majority of our lies working and because of this, it is almost crucial that we all find a job or a career that we can be passionate about, enjoy and do for many years to come. Being happy at work is so important to make sure your life in general is enjoyable. There is no worse feeling than waking up every morning with a sense of dread about having to go to work to a job you have no enjoyment in. With the job market coming increasingly more competitive, it takes more to be the perfect candidate for your dream job including having just the right qualifications, experience and personality to fit within a company. You are never too old to go back to school and gain the qualifications you need to secure your ideal position. Many jobs ask for quite specific qualifications, with the amount of good candidates applying, employers can afford to be picky. Make sure you have the right certificates and achievements to fulfil the needs of employers. Experience is the second most desired trait that employers looks for when considering a CV. If you are just starting out or are changing your career the experience may not be there. Consider an internship or part time role just to gain some experience even if it is minimal, this will also show your commitment. No matter how many knock backs and rejections you may receive, keep going anyway. Online applications for jobs make the process quick and easy and you can apply for multiple positions that take your interest in a short space of time. 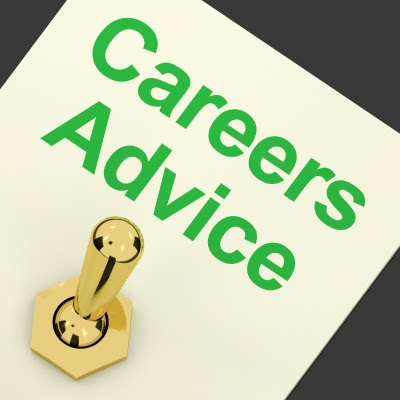 Asking career advisors, experts in the field and even business owners about the things you can do to secure your dream job is a good idea. It means you get a better idea about the things you need to achieve and work towards. We all have something in particular that we are interested in, passionate about and most importantly, good at. Finding this may not be as easy as you think, but do not rule out anything even if it may seem small to you, like being good at art for example, it could turn in to your new career. No matter what, continue to work hard and as cheesy as it sounds, do not give up on the dream job if it is what you really want. Hard work tends to pay off in the end. These things, particularly career related, do not tend to happen overnight. It takes time to gain the qualifications, work experience and someone to give you the opportunity to prove yourself. Although it wont happen immediately, it will still happen. Keep chasing your dream. Keep gaining new qualifications and experience because every new addition to your CV and personal skills brings you a step closer to your end goal. Even if you do not get the right job in the right industry, make sure you keep up to date with the latest industry news and make sure you are still active. For example, a writer that continues to freelance will make a better impression than one that does nothing for several months. Even once you have gained the dream job, you need to keep it. Make sure the hard work and passion are maintained and do not become complacent because you are not indispensable.